Don’t let interview nerves get the best of you. If you’re one of those rare individuals who doesn’t get nervous in a job interview, kudos to you. For the rest of the population, anxiety before and during an interview can be incredibly difficult to control and has the power to totally derail your performance. 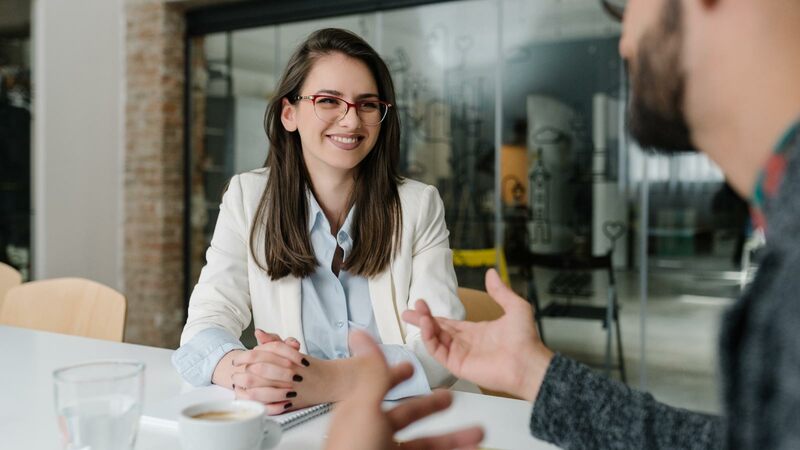 And since many employers know whether they want to hire you within the first 90 seconds, it’s critically important to learn to control interview nerves so that the real, amazing you can shine through from start to finish. The good news is this: You don’t have to continue to suffer. You can change how your mind and body react to job interviews and eliminate that fear and anxiety altogether. Here are eight tips for flipping the interview from an experience you fear and dread to one that you look forward to and may even enjoy. Most people would agree that preparation is the foundation of a great interview. It’s also an important step in gaining control of your interview nerves. To that end, you’ll want to make sure you have a strong, updated resume with a professional layout. You should also plan and prepare your attire in advance, keeping in mind that you should dress for the highest-­level job you want. For example, if you’re interviewing to be a department manager but hope to eventually be CEO, dress like a CEO for your interview. Next, take time to review the responsibilities and achievements of your past positions so they are on your mind during the interview. For best results, tailor everything for the position you’re after, from your resume to your question responses. For example, if you’ve never been a manager but you’re interviewing for a managerial position, look over your resume and identify specific examples of how you’ve learned and applied managerial-­level skills to solve problems or add to the company’s value. This is a great way to boost confidence and maintain clarity and focus in the interview. Just like Tesla, Adidas, and Fruit of the Loom, YOU are a brand. As a brand, it’s important that you have a brand identity that will help you stand out both during the interview and after, when the sea of names tend to blur and run together. A brand’s identity is several sentences that clearly explain what the brand is and how it differs from other products that compete for a consumer’s attention. So just as 7UP is a refreshing lemon ­lime–flavored, caffeine-free soft drink, you should have a brand identity that clearly states who you are, what you do, how you do it, and who you do it for. Is your brand clearly defined? If not, spend some time prior to the interview reflecting on these questions: What value do you provide, how do you provide it in a way that’s unique, and who do you provide it for? Once you have answers, condense them into a few brief sentences. By using the sentences on your resume and in your conversations during the interview (naturally, of course; don’t sound like a commercial), you’ll establish and reinforce a clear value message that leaves the interviewers with a solid impression during the interview — and endures well after you’ve gone. Just before you go into the interview, do something that will make you laugh. Watch a funny video or read a few jokes. Why? Laughter is a miracle “drug” that will do all sorts of wonderful things for your brain and body so you can relax and perform better in the interview. For one thing, laughter releases endorphins in the brain. Endorphins are the “feel ­good” chemicals that help reduce stress and promote a sense of happiness and joy. Laughter also stimulates circulation, which aids muscle relaxation and can help you think more clearly. Just be sure to get all your chuckles out quietly, before you get called in for the interview. You don’t want to appear unprofessional. What happens if you don’t get this job … will the world end? No. Will your life have less value? No. Sure, you may really, really, really want it, and maybe you’re in a place financially where you really need it. If you don’t get it, it will be painful, maybe financially difficult, and certainly disappointing, but it will not be the end of you. You’re strong. You’re a fighter. And you know (although you may occasionally need to be reminded) that sometimes things work out better when they don’t go the way you want. A better opportunity may be waiting just around the corner. So before you go into the interview, remind yourself to keep everything in perspective. You can’t control the outcome of the interview. You can only do your best and go forward from there. Remember, this is a two-­way interview. You’re examining them as well to determine if they’re the right fit for you. You don’t want just any job; you want a job that fits your strengths and abilities, one that offers an environment that suits how you like to work. If you’re not 100 percent sure what all those things are, spend some time figuring it out before the interview. 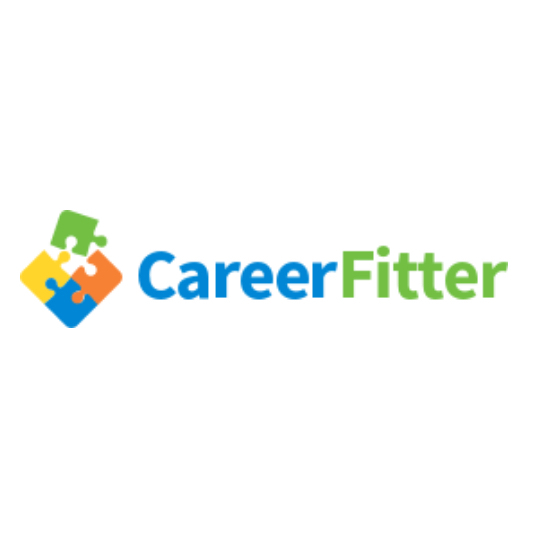 One great resource is CareerFitter’s career test. It was designed by psychologists to assess the eight foundations of personality, solely in relation to work. It will help you discover the career that fits you best, based on who you are as a worker. The assessment produces a comprehensive 10-­page report, which can help guide your questions during the interview and inform your decisions about whether it’s the right job for you. By keeping in mind that this experience is not just an assessment of you — it’s also your evaluation of them — you’ll feel more in control of the situation and your nerves. Finding out if this is a job I want. Learning something from this experience. Remember that getting the job isn’t the only goal, which means not getting it isn’t a total loss. If your goals are met, the interview is a success, no matter the outcome. If you do even a small amount of research on this, you’ll find that opinion goes both ways regarding whether you should confess your nervousness to an interviewer. While it’s always a good idea to admit nervousness to yourself (it will relieve pressure), it’s usually best to avoid telling the interviewer that. Some interviewers might view it as a lack of confidence. Yet, still embrace your nervous energy and try to channel it into something more positive for your interview. One way to do that is to present it as enthusiasm. Tell yourself that you’re excited, rather than nervous. This change of perspective will then help keep you focused on why you’re there in the first place; the excitement of a new job opportunity. At the end of the day, being nervous is normal, so allow yourself to feel it. Besides, suppressing your anxiety will bring about a whole host of problems that are best to avoid. The interviewer wants you to be “the one,” otherwise they never would have called you in. They’re eager to fill the position with the right person, and that just might be you. Therefore, your goal isn’t to try to win them over; it’s to show them they’re right about you. Plus, when you realize you’re among the elite 2 percent of candidates who were called in to interview, it should definitely give you a boost of confidence. They like you, so relax and try to enjoy yourself. It is possible to change how you feel about interviews. You can gain control of the nerves and anxiety and learn to enjoy the process if you prepare, maintain perspective, and focus on presenting the best of yourself. Remember, it’s not about whether you get the job. It’s about making yourself better through every experience and having faith that when the job is right, the interview will be too. Still breaking out into a sweat at the mere thought of an interview? Let our expert coaches help you today! Struggled With Interviewing This Year? We Can Help!